City, University of London has been shortlisted for three awards in Times Higher Education magazine's annual awards. The awards, which are in their 14th year, showcase the pioneering spirit, adaptability and quality of the UK’s higher education sector. City has been nominated in the categories of Research Project of the Year (Arts, Humanities & Social Sciences); Widening Participation or Outreach Initiative of the Year; and Outstanding Entrepreneurial University. This year’s THE Awards ceremony takes place on Thursday 29th November at the Grosvenor House Hotel in London. Dr Liza Schuster (Reader in Sociology) was shortlisted for her wide-ranging research in Afghanistan. Spending prolonged periods in the field, in often difficult circumstances, Dr Schuster’s research considered the experiences of returned Afghan asylum seekers and the challenges faced upon their return to the country – including violence, debt and social isolation. She found that community re-integration is also a challenge, as it is extremely difficult to predict how a returner will be received because of stigma, suspicion and variation in attitudes towards western society. Other aspects of her research conducted with a team of Afghan researchers (Dr Belgheis Alavi, Mona Hosseini, Razia Rezaie and Riaz Mohamad Shinwari) considered representations of migration and migrants in Afghan oral culture; the hopes, fears and plans of Afghan families for their future; and the development of an Afghan migration policy and the influence of the EU. Her interdisciplinary research (anthropology, literature, political science and sociology) combines content analysis, participant observation and interviews. 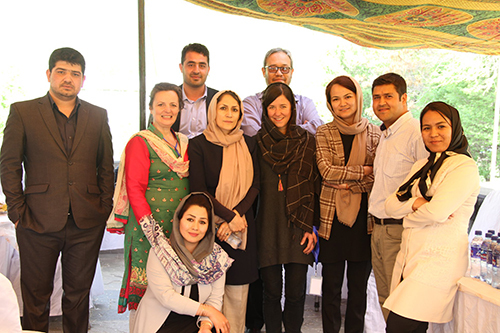 A world-leading expert in her field, Dr Schuster’s research has influenced authorities in Europe, to provide a greater understanding of the issues faced by Afghan asylum seekers and help inform their decisions on asylum claims. With a clear link between academic success at school and access to higher education, the CityTutoring programme is supporting under-represented learners to gain the grades they need to access Higher Education. 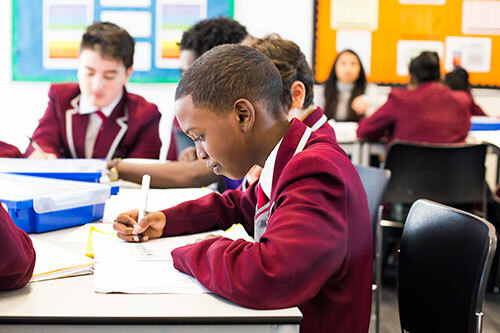 City students provide small-group tutoring in Mathematics and English as pupils develop core skills, confidence in their learning practice and discover links between education in school and HE. By targeting schools with an above average proportion of pupils on free school meals and below average attainment, the project ensures it reaches pupils most at risk of not achieving their potential. The programme started 12 years ago with 45 Widening Participation ambassadors tutored in 10 local secondary schools for 16 weeks a year. By 2016/17 it grew to 70 fully trained CityTutors and 18 schools. Data from 11 of the 18 schools show the success of the programme. Of the 2016/17 tutees, 85% improved grades, while 75% met or exceeded outcome targets as measured by the schools. City fosters a community that is passionate and committed to enterprise through a range of programmes and activities which support students, staff and the local community. City offers all students the opportunity to gain and apply entrepreneurial thinking during their studies. The CityStarters team delivers enterprise education across City and in 2016/17 engaged over 8,000 students through events, one-to-ones, competitions and access to the on-campus incubator. 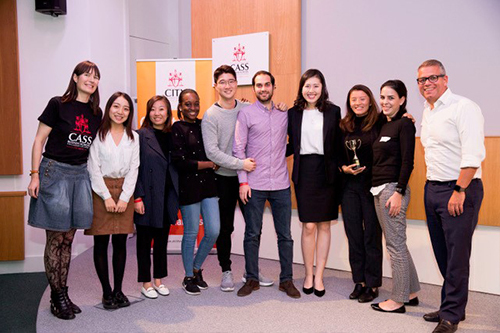 City’s business idea competition, CitySpark, offers students the chance to showcase their ideas and win up to £5,000 in Startup funding. In 2016/17 the competition attracted over 200 entries, with the winners achieving a collective turnover of £200k and employing 18 people in their first years. City staff are also given the opportunity to win up to £30k through the Research and Enterprise Showcase competition. The Launch Lab provides a physical space for City students and alumni to build their ideas and grow. In 2016/17 the Launch Lab incubated 65 graduate startups, creating 298 full-time jobs. According to recent data, City is ranked 6th in the UK in terms of estimated external investment received by its graduate start-ups, with more than £10 million of investment.